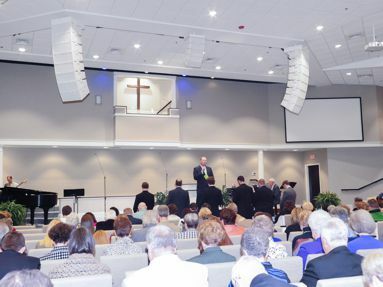 Working under a guiding theme “Advancing His Kingdom,” Unity Free Will Baptist Church recently completed a major construction project that resulted in a brand new facility. With Senior Pastor Jeff Manning guiding the church’s various programs, the new facility brings an unprecedented level of opportunity for all who worship there. Music plays a vital role in the church’s worship services and, recognizing the importance of audio quality as a means of engaging and motivating the congregation, church management elected to deploy world class audio equipment throughout the complex—all of it drawn from the catalog of WorxAudio Technologies (www.worxaudio.com), a division of PreSonus® Audio Electronics (www.presonus.com).